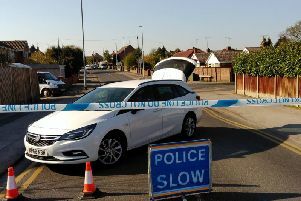 Two men - one from Worksop - are due to appear in court today in connection with a police pursuit which resulted in a police car being rammed and two officers injured. Officers attempted to stop a car reported to have been stolen from an address in Creswell, Derbyshire. After ramming into the police car the occupants exited the vehicle but both were swiftly arrested at the scene. The collision happened at about 2.45am yesterday (Thursday 20 December 2018) in Shrewsbury Road, Manton, Worksop. Two police officers injured during the incident were taken to hospital as a precaution. Thankfully they were not seriously injured and were subsequently discharged. Ryan Adams, 30, of Gateford Road, Worksop and Adam Sutton, 30, of Recreation Street, Mansfield, have both been charged with burglary, aggravated vehicle taking with dangerous driving and two offences of actual bodily harm in connection with the incident and are due to appear at Mansfield Magistrates’ Court today.